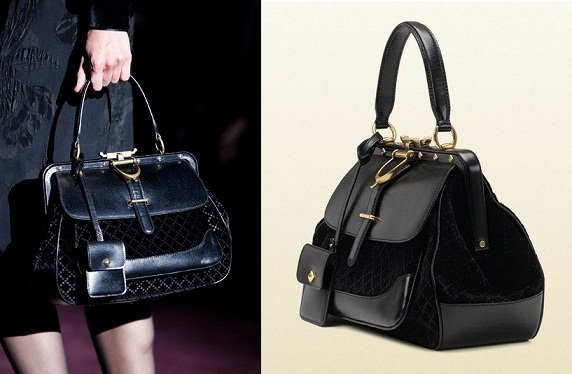 I´ll just watched the Lady Stirrup bag by Gucci. Black is currently trendy and fits to the things that we wear. It is elegant, spacious and looks interesting. I like the contemporary frame shape and all the details. Práve si pozerám kabelku od Gucci - Lady Stirrup bag. Čierna je momentálne trendy a tak sa bude hodiť k veciam, ktoré nosíme. Je elegantná, priestranná a vyzerá zaujímavo. Páči sa mi veľmi moderne pôsobiaci rám kabelky a každý jej detail. just love this bag, awesome!! The bag is stunning, hope I can afford it some day! Gorgeous bag. I love the structured frame style. Thank you for your lovely comment. This bag is simply gorge!!! Adoro este tipo de bolsos!! !